We can't say it enough, but volunteering pays off in so many ways. You can "be the change" for an organization in you area!! Rescues always need help and volunteers keep these places running. In some cases (like the rescue that mom volunteer's with), it is ALL volunteer...no paid staff at all. From cleaning, to socializing, to laundry, to walking dogs, to foster care...and even different things you wouldn't think about. Writing thank you notes, working in a retail store (we have one manned by volunteers on the weekends), stuffing envelopes, organizing fund raisers. There is no job too big or too small that can't use some sort of help. But of course, you are here for kitten pictures....which is a FUN part of fostering. If you have some space and some time, think about contacting a local reputable rescue: with the start of kitten season, they need all the help they can get. They are growing and getting cuter by the day!! The gray tabby in the middle is Jade's original kitten. 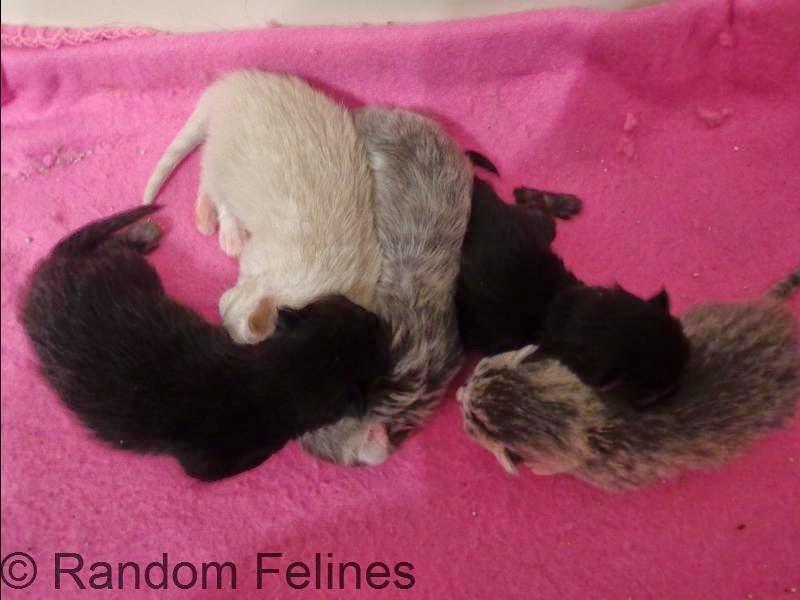 The tiny black one on your right is the smallest...but gaining steady weight so we aren't too worried about that one. And now....we think mom knows the genders. 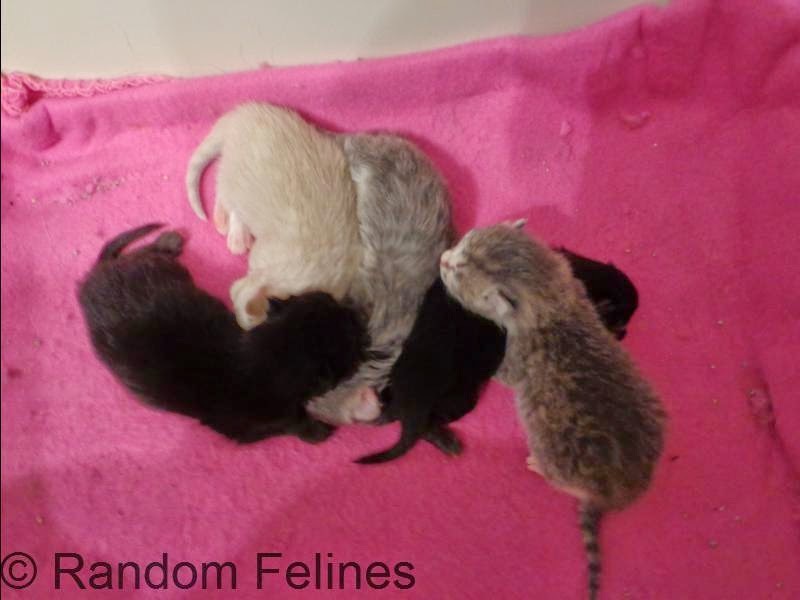 The gray tabbies are both boys and the other three are girls (where is Fred when we need him??) Still working on the name theme. Nothing has jumped out at mom yet. They don't have to be related to Jade...most times the kitten theme doesn't have anything to do with mom's name (though sometimes it does). 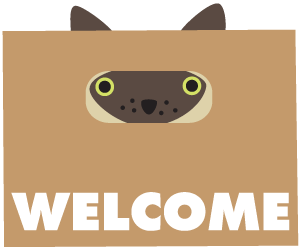 If you are newer to the blog, suggestions are welcome (and we give credit) but we are all about a good theme...and not such big fans of people names (except famous names if you know what we mean). My human needs to volunteer MORE! She get so wrapped up with stuff she forgets how much time passes. The "rescues" here are very informal, with none properly registered. A lot of times, volunteers who take in the rescued animals end up having the animals dumped on them with numerous excuses given by the rescue on why they can't take them. It's a real turn off. A rescuer had promised to take Meow-Me, Coco, Felix and Tutu as soon as they were neutered to be rehomed. However, when the time came, the rescuer kept coming up with excuses and that was how they ended up staying. The other option was to return them to the streets but of the 4, only Meow-Me had lived as a stray. The others were with me since they were born. Wonderful post. Volunteers rock, and it's definitely something I intend to do more of! GREAT post! There are all kinds of great ways to help shelters and rescue groups! *whine* I want kittens.. give me yours..
Oh what little cuties! Maybe can talk sometime about the shelter-I'd love to hear your opinion. We love those cute little kitties. People like YOU make a HUGE difference!!!!!! The babies are toooooooo precious! The mama cat looks just like my Sammy-Joe! 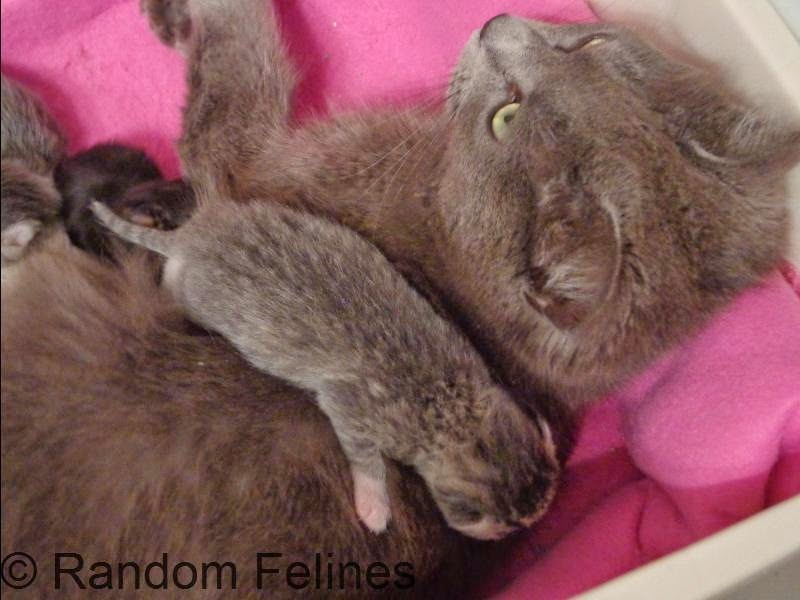 I bet the gray tabby kitties look like Sammy-Joe did when he was born. Please keep repeating the message...Everyone CAN make a difference. There is no effort to small. Good luck with kitty naming...the White Dogs suggest cheeses for names (we like that idea since we are sitting with momma as we read and comment, eating Brie and crackers)! BOL! You make a huge difference and sharing your experiences makes a huge difference to inspire more people to volunteer! Squee!! Fostering and volunteering are rewarding in so many ways, and of course you get to see all the babies, too! There's nothing more gratifying than knowing you've made a difference in the life of a pet in need, is there? I can't think of a better way to illustrate your point than with adorable kitten photos! :) Thanks for joining us for blog the change and for all that you do!